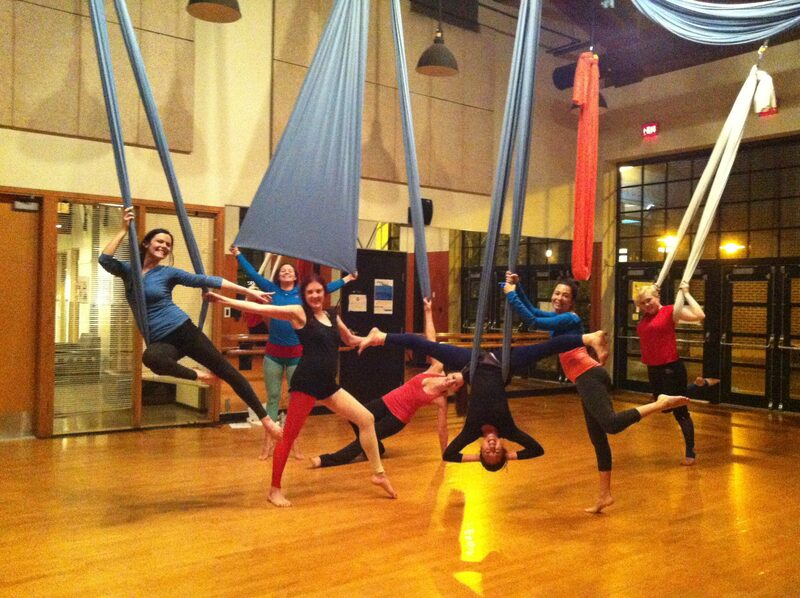 Start the New Year with an Aerial Dance Workshop! A playful approach to aerial dance, this workshop will focus on expressiveness, dynamic movement, improvisation and releasing inhibitions. We will be working with aerial cradles, which are long loops of aerial fabric suspended at varying heights above the floor (also known as aerial hammocks or slings). We will cover some basic aerial skills and poses as well as techniques for swinging and sliding. Prerequisites: Some previous movement experience such as dance, yoga, or gymnastics. Previous aerial experience is useful but not necessary. In this workshop we will delve deeper into the creative process and learn to source material from a more subconscious emotional landscape. Learn to create more intuitively rather than in a pre-meditated way and learn to trust your body’s inner creative wisdom. Let’s awaken our curious nature and see what presents itself to be discovered. 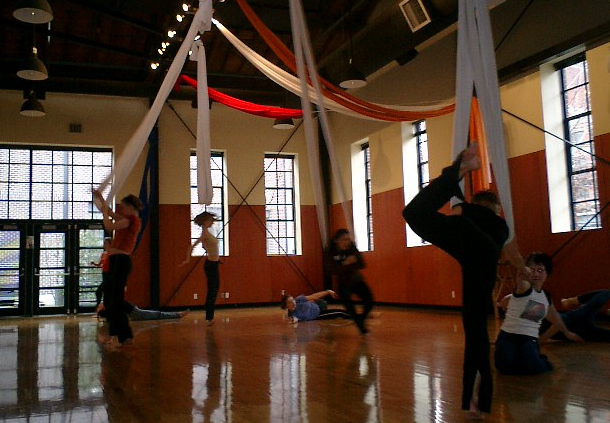 Participants will learn a short sequence on the aerial cradle (also called a double sling or hammock). This will be our jumping off point to explore creative ways of interpreting and modifying a sequence. The workshop will include a variety of introspective and expressive exercises to help participants source from their personal experiences, adding depth and unique quality to their movement. Please bring a notebook and pen. Pre-requisites: Participants must be able to comfortably invert (bring legs over the head from a hanging position with feet off the floor) and be able to hang in a flexed arm hang for at least 20 seconds.